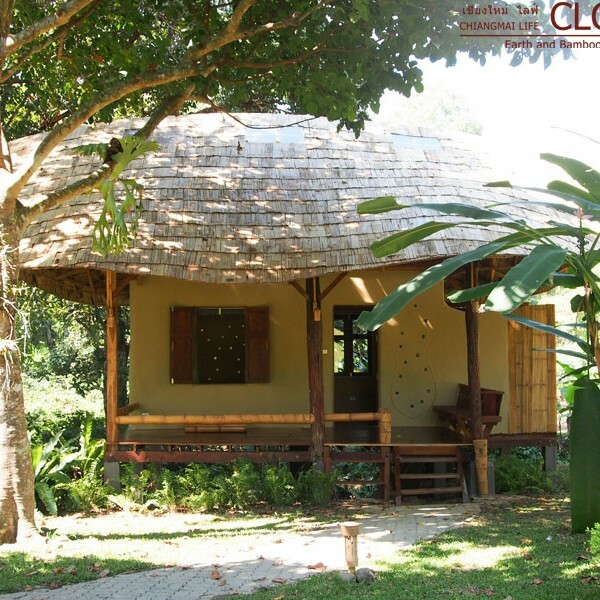 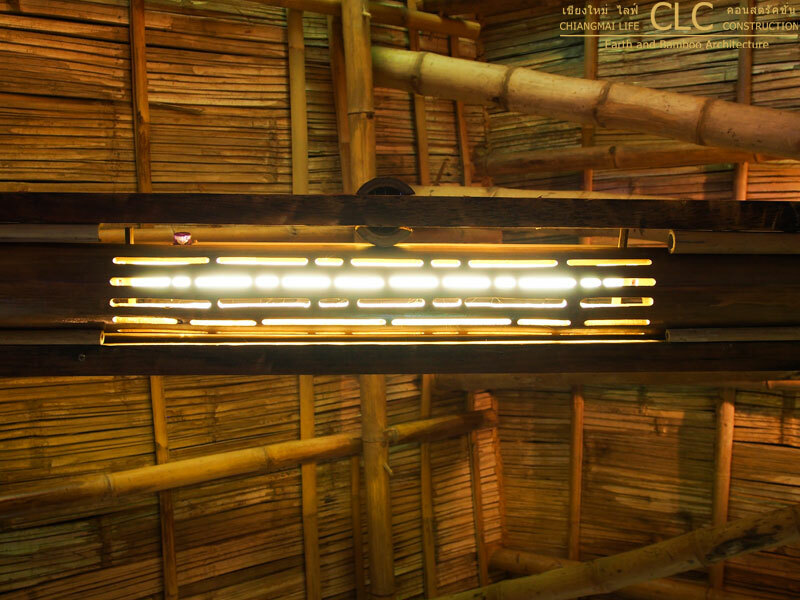 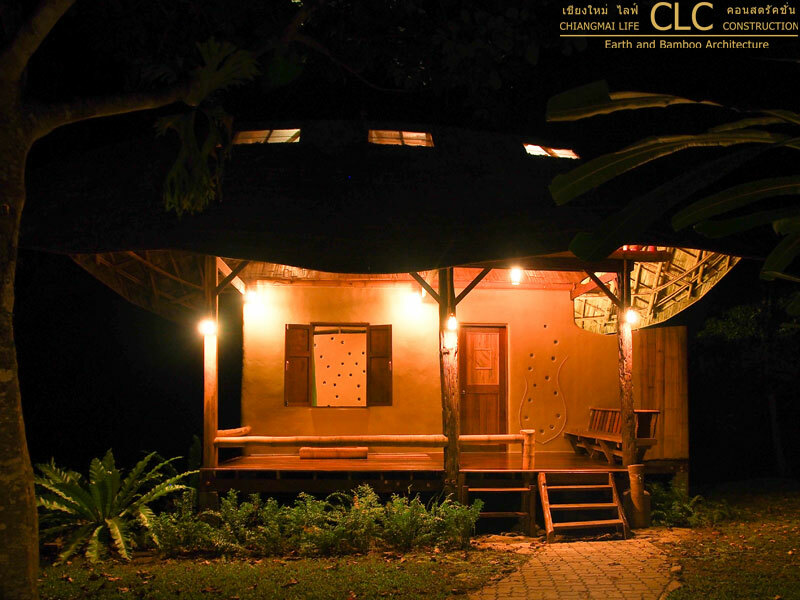 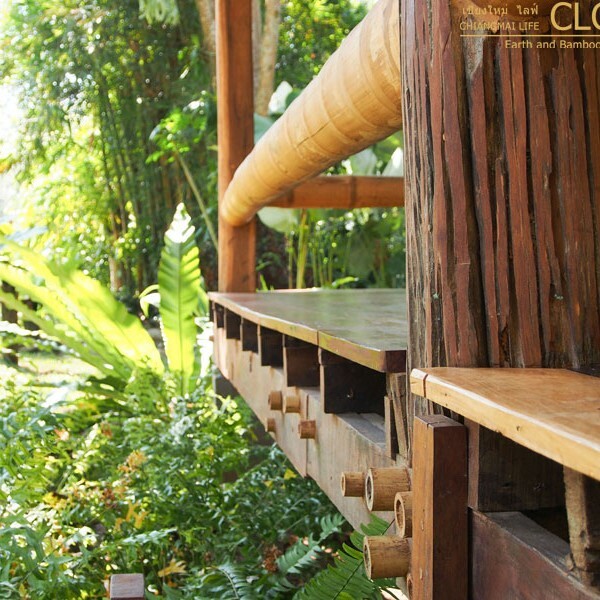 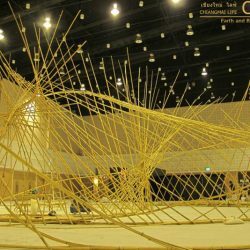 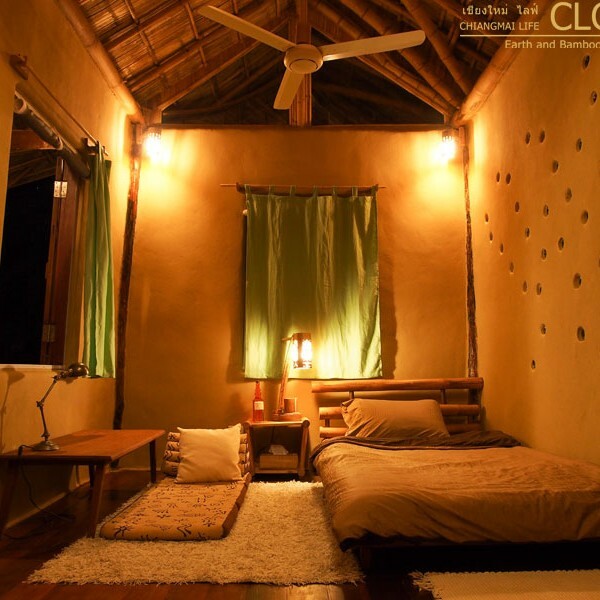 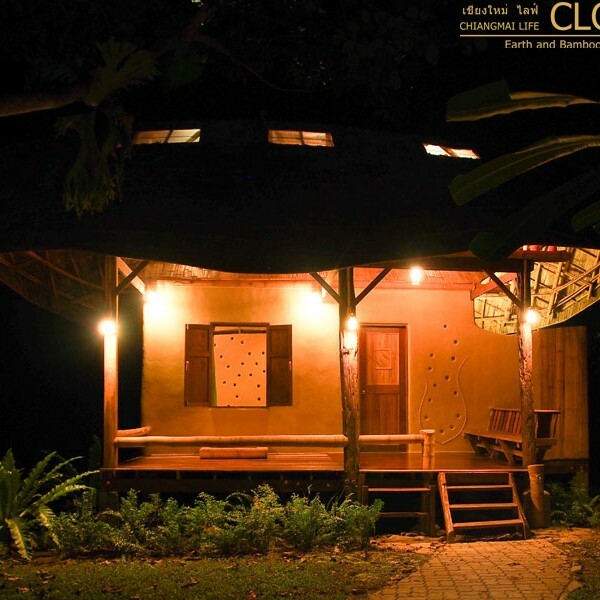 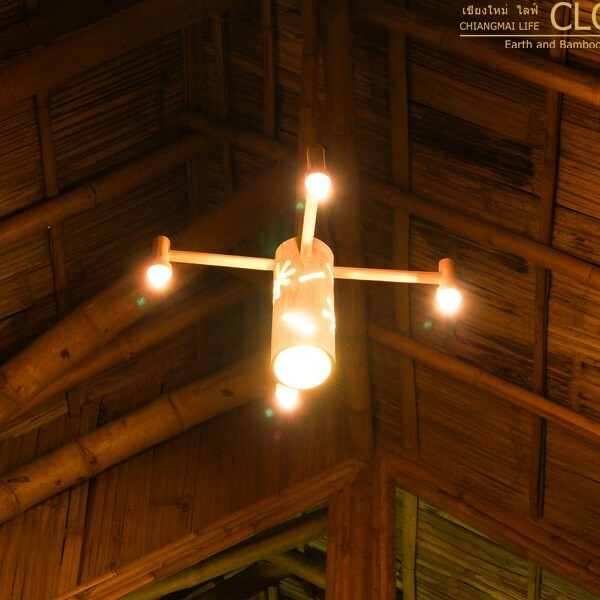 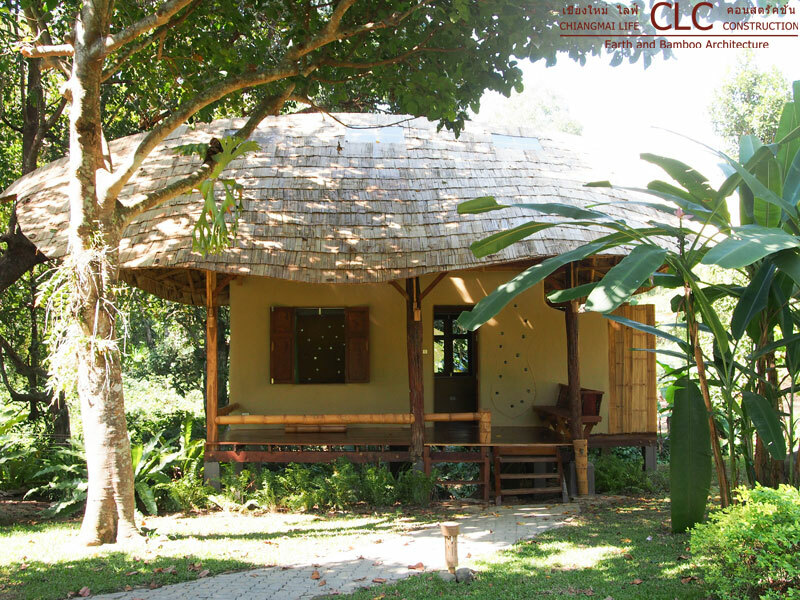 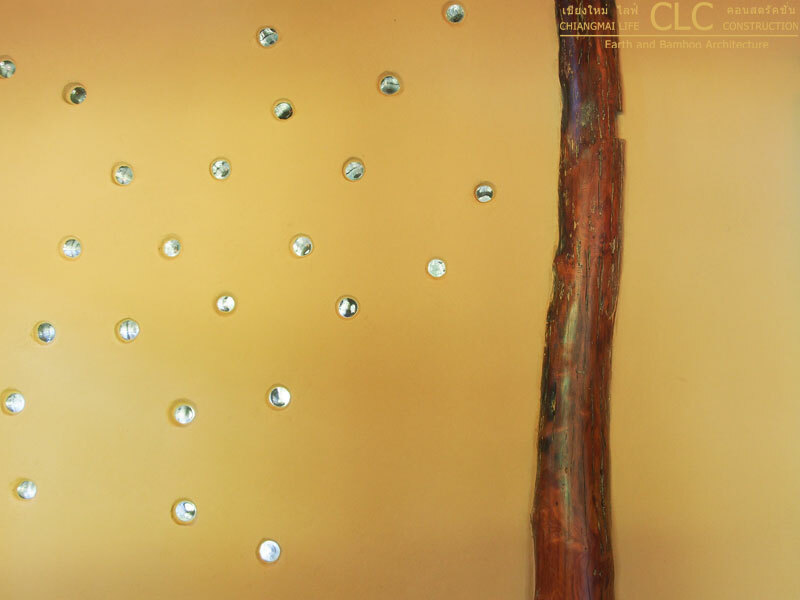 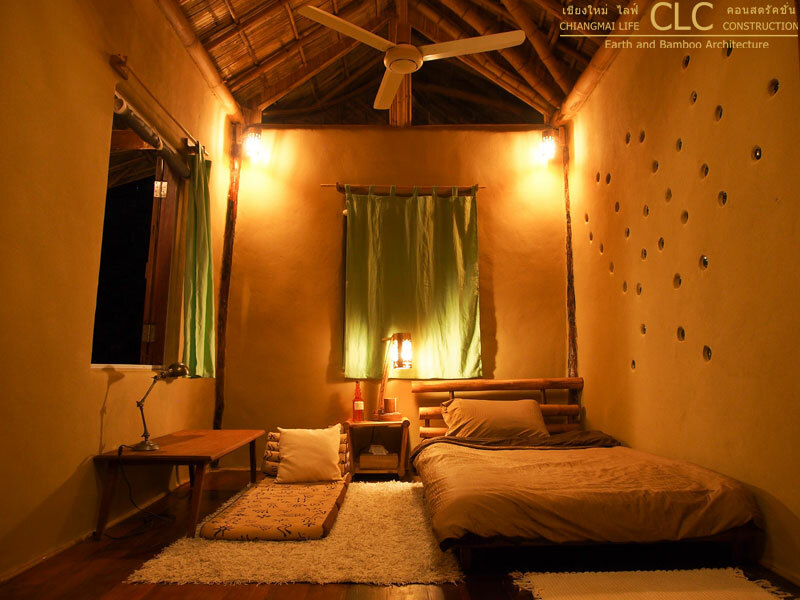 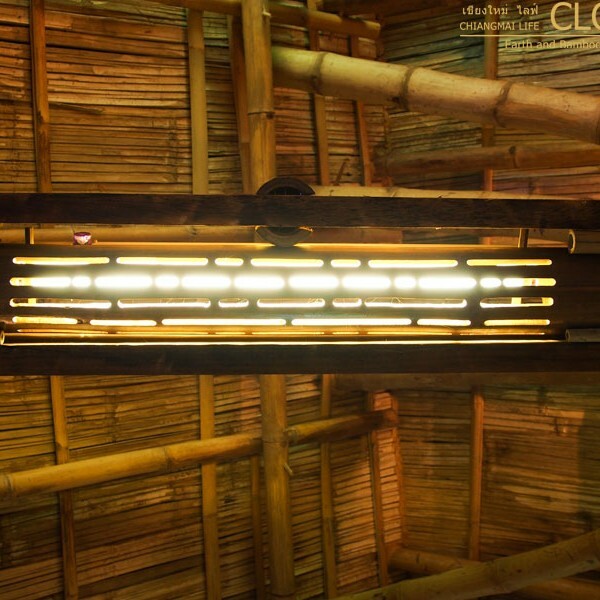 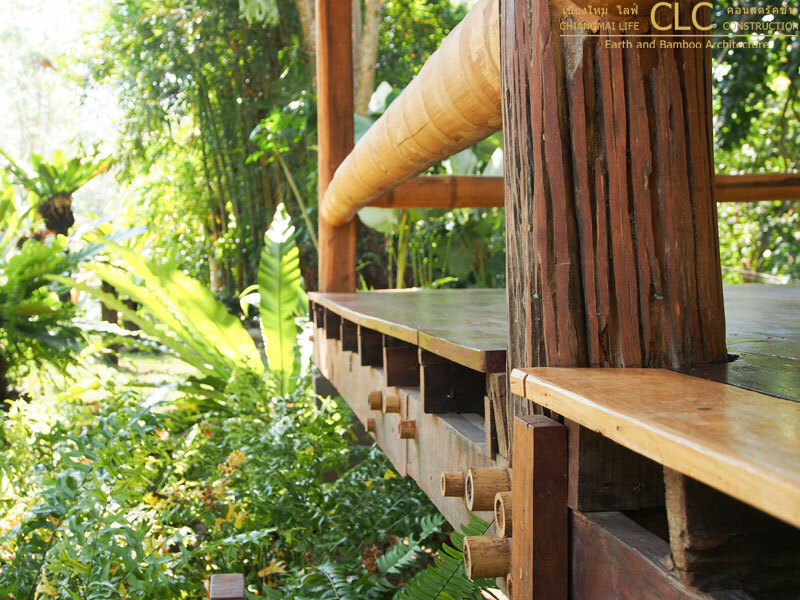 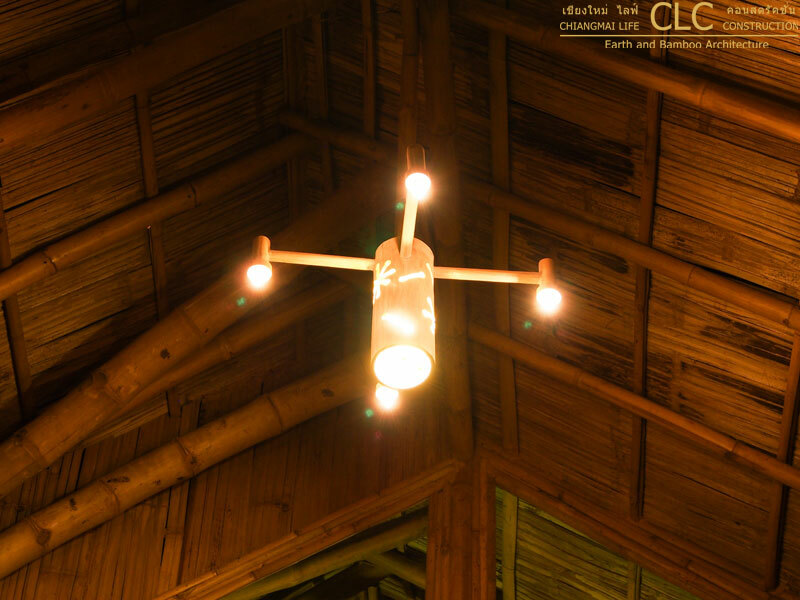 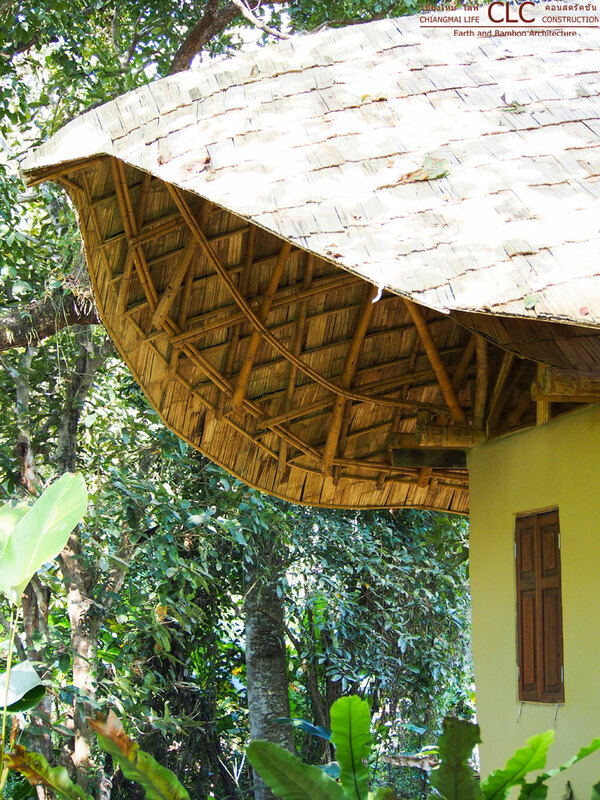 The Nature Hut Kutti Phra is a charming hut-in-the-hut on stilts made from wattle & daub earth walls, bamboo and recycled hardwood. 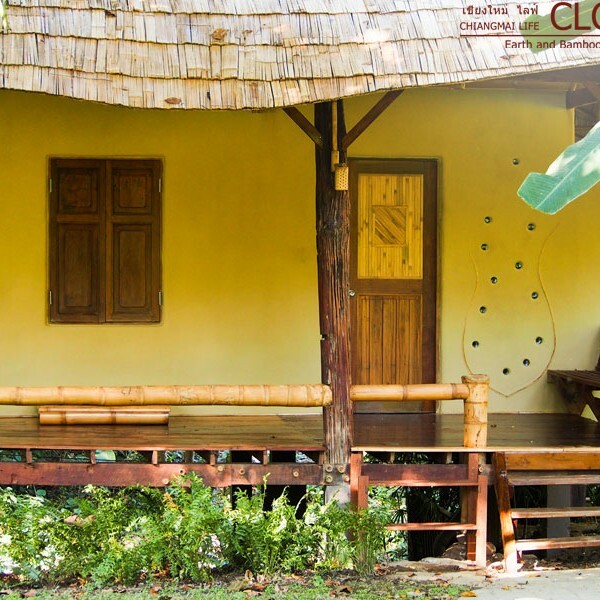 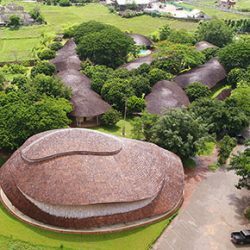 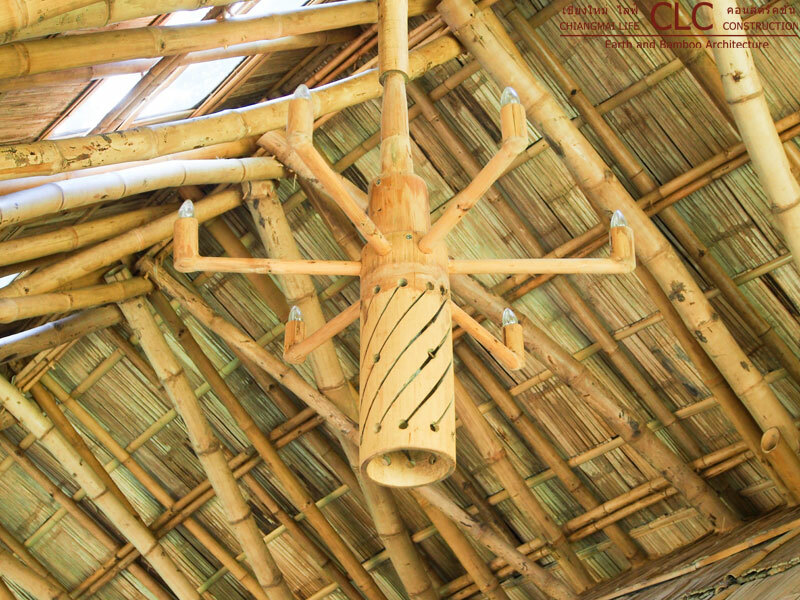 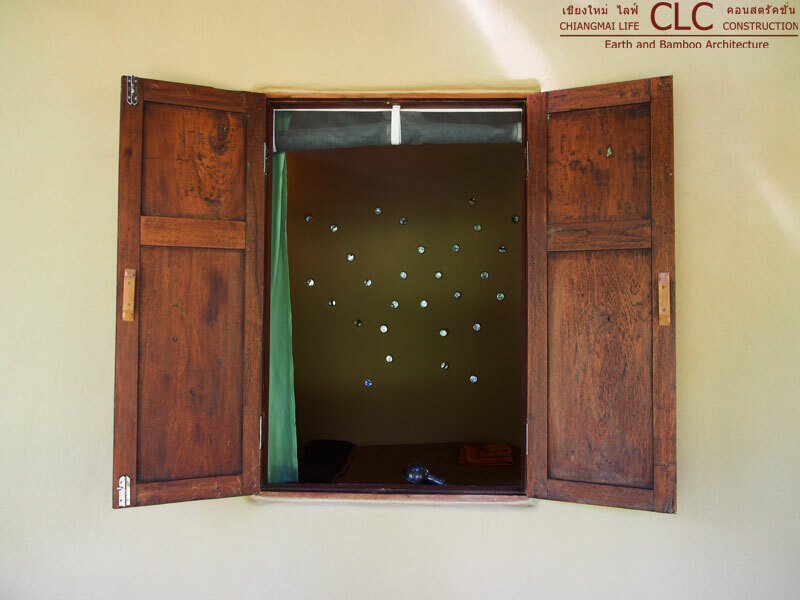 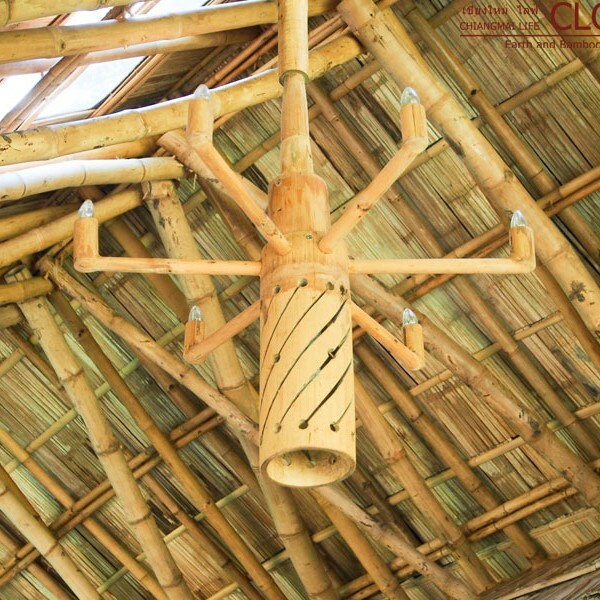 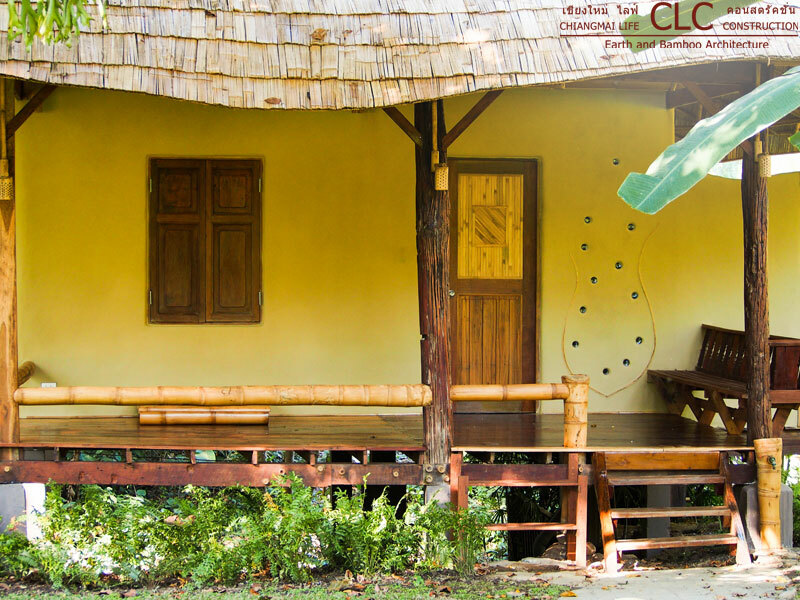 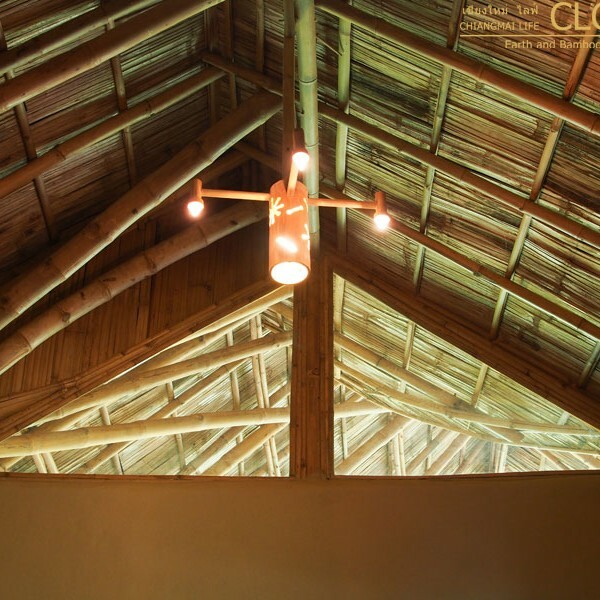 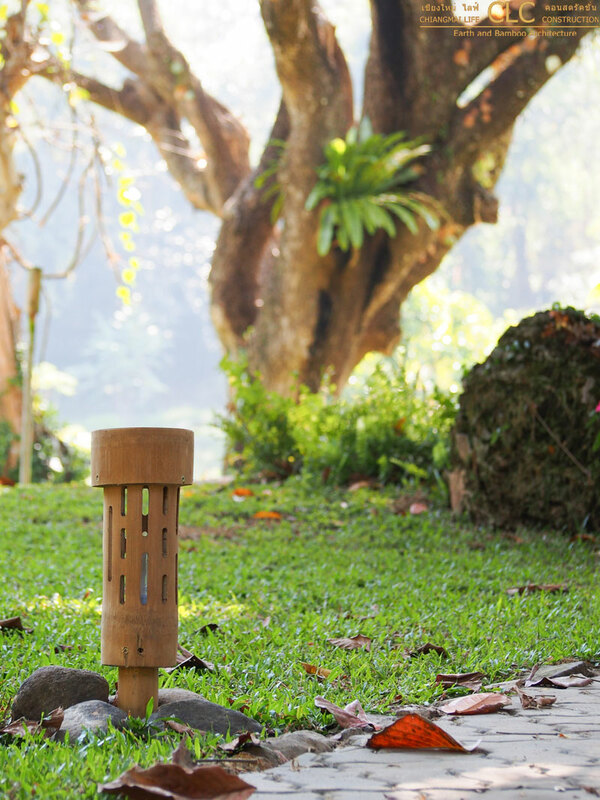 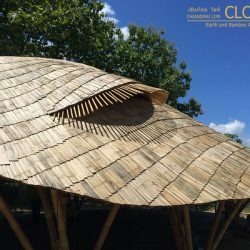 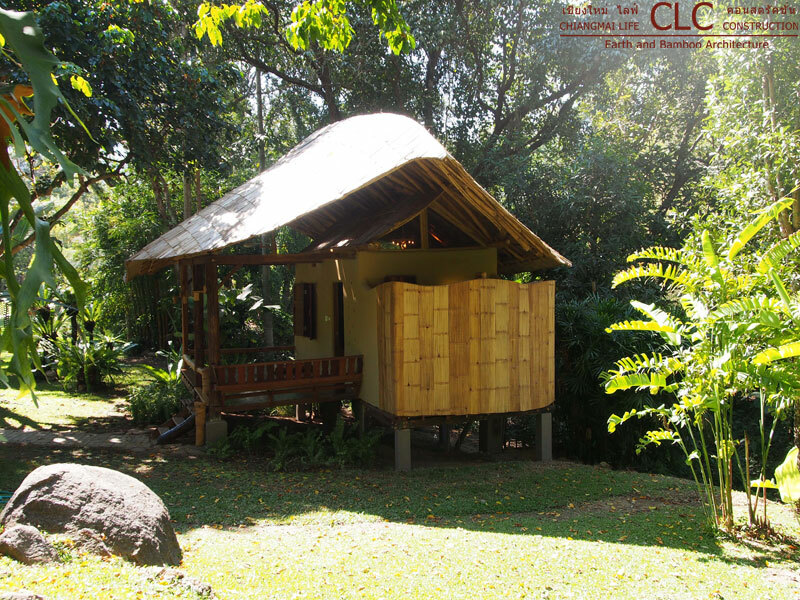 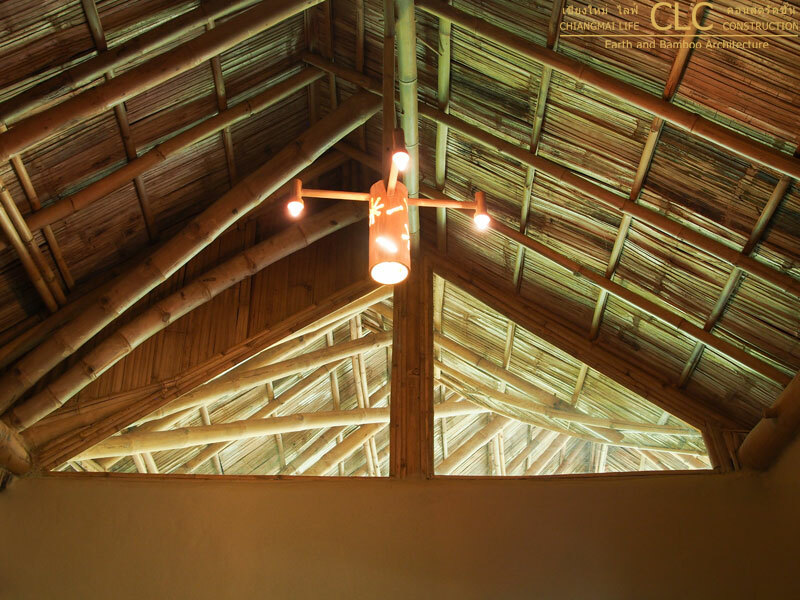 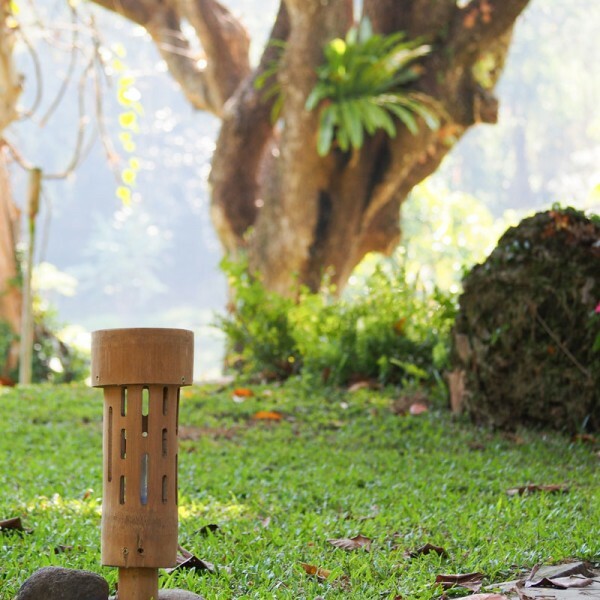 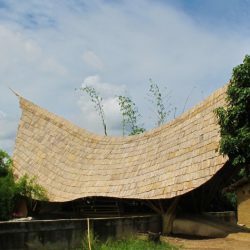 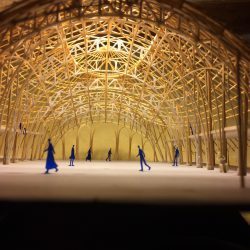 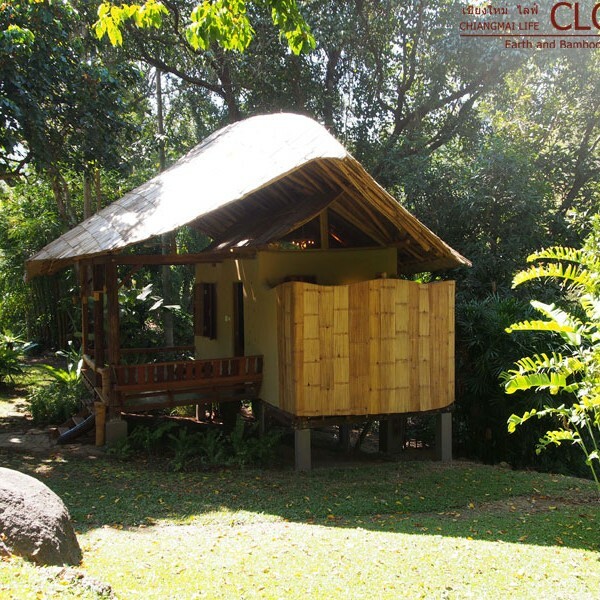 This special design with a big bamboo roof cradling a smaller hut with its own roof allows for a cool climate and lots of light on the terrace, ideal for monks who receive many visitors. 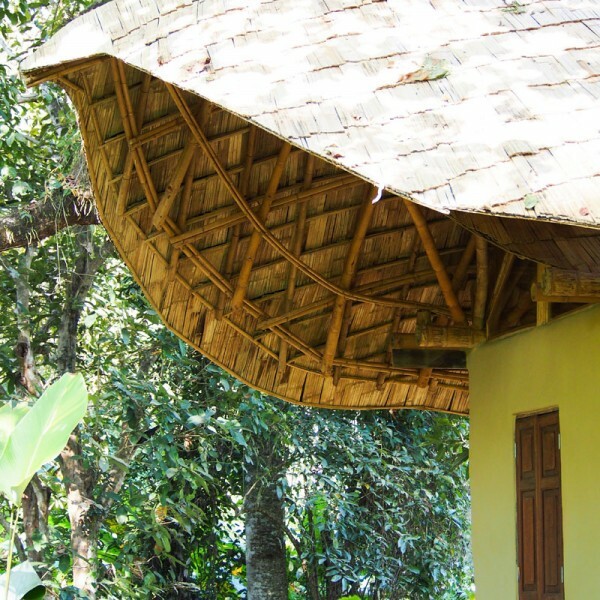 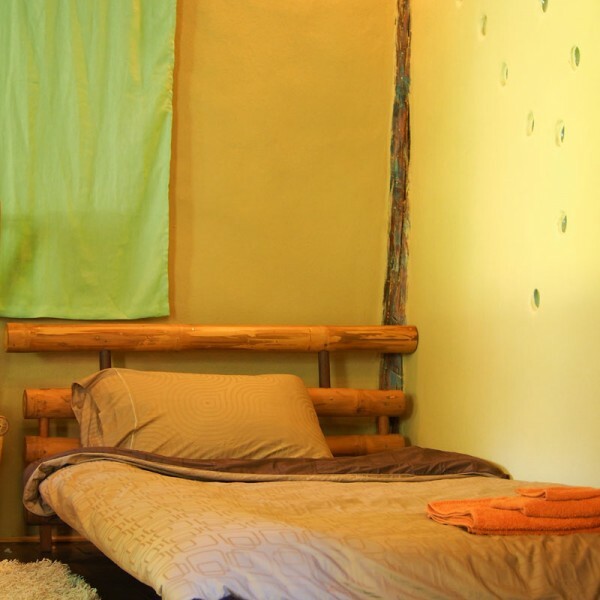 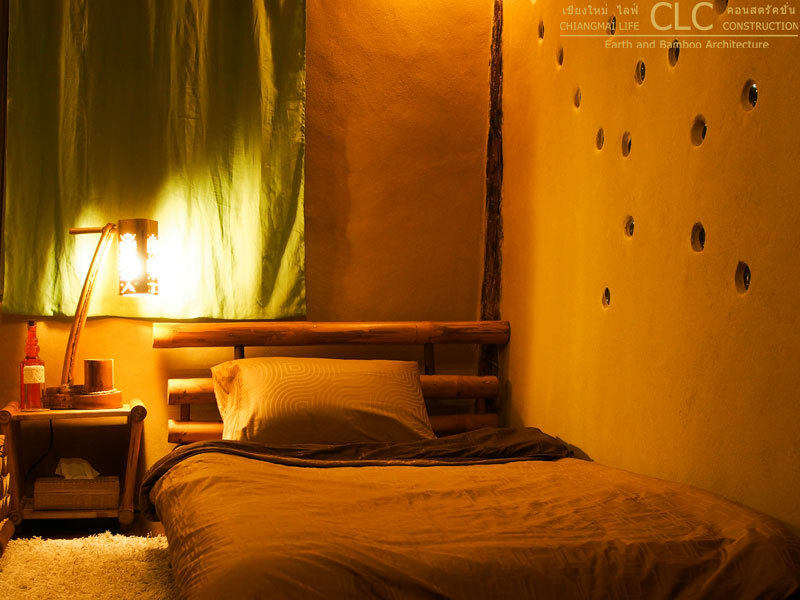 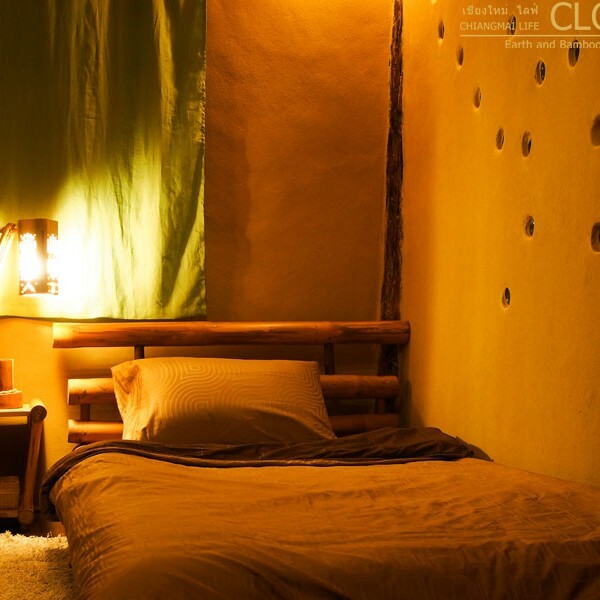 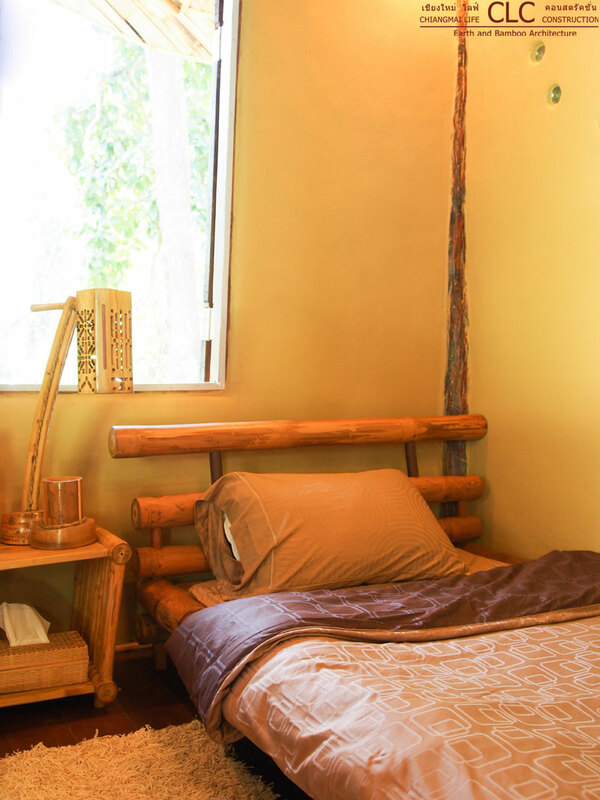 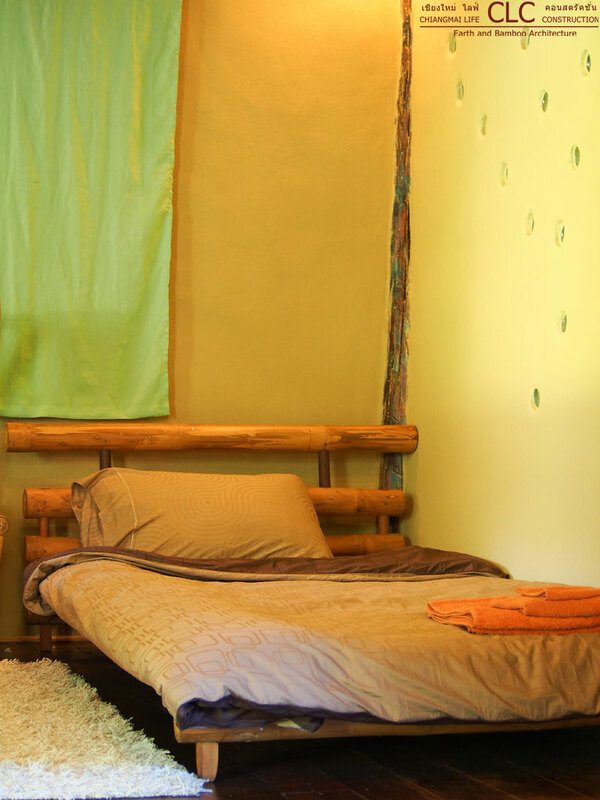 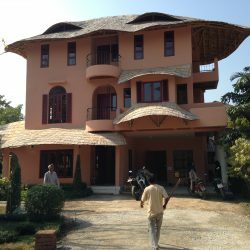 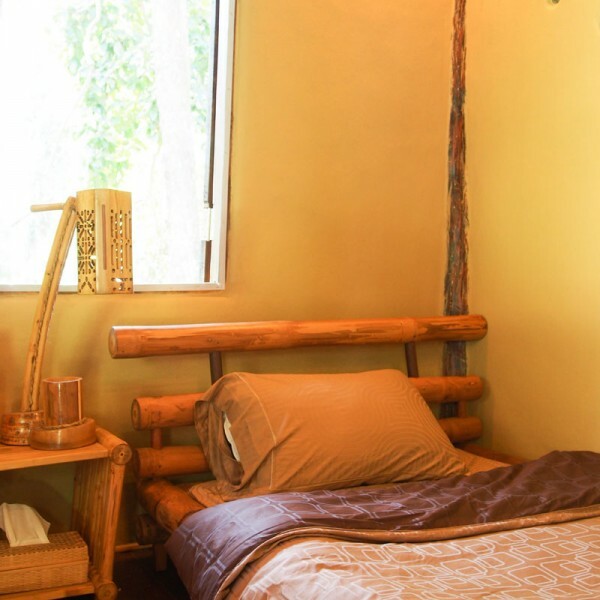 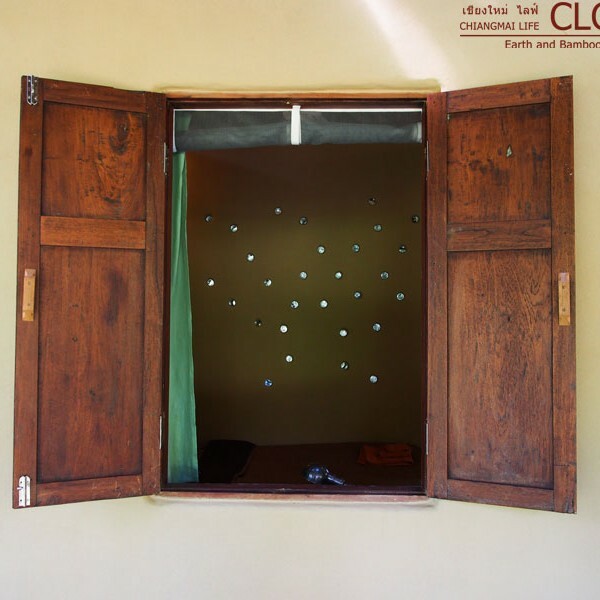 The double roof and earth walls create a comfortable cool room climate inside as well as outside and during the cold period a well insulated small room that heats up easily. 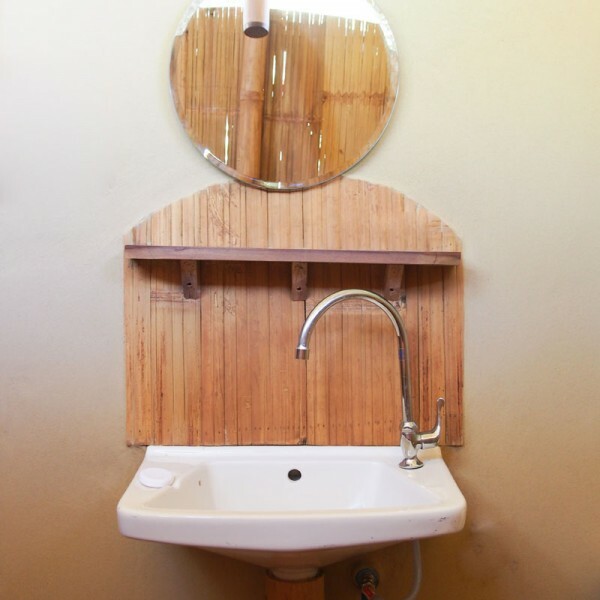 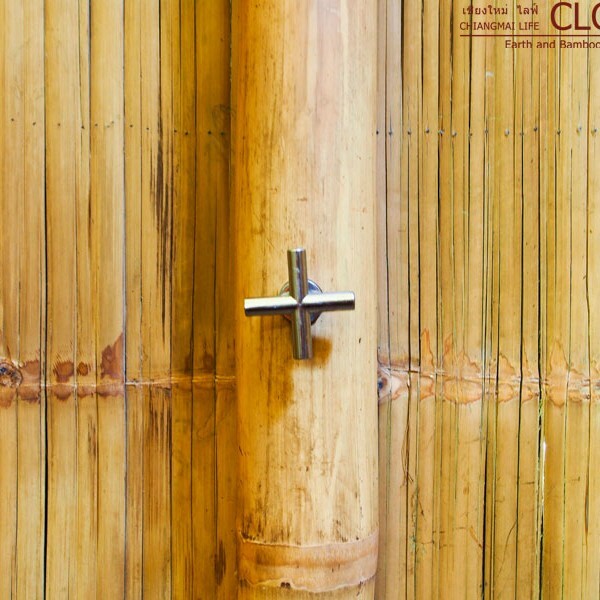 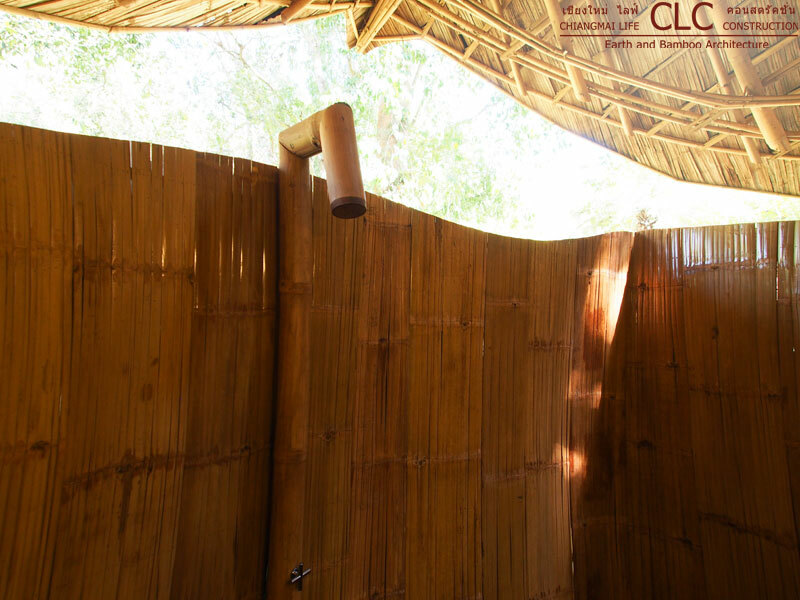 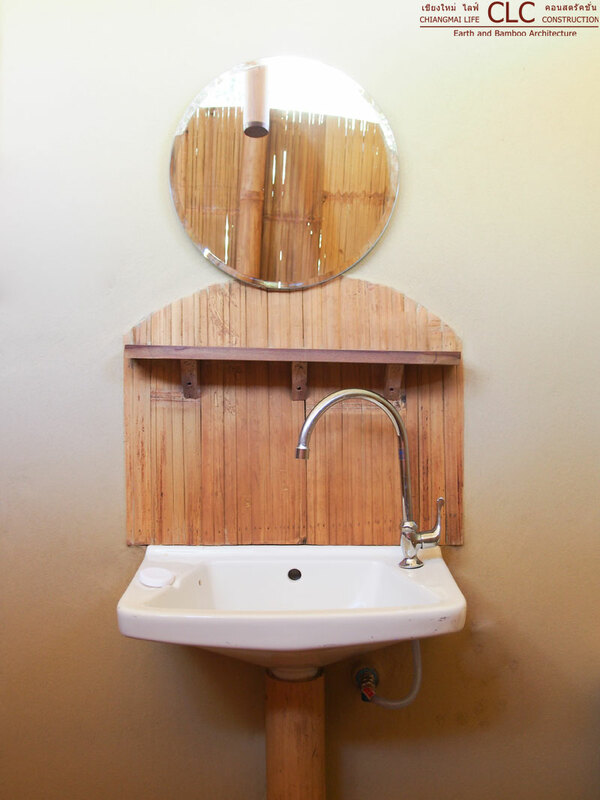 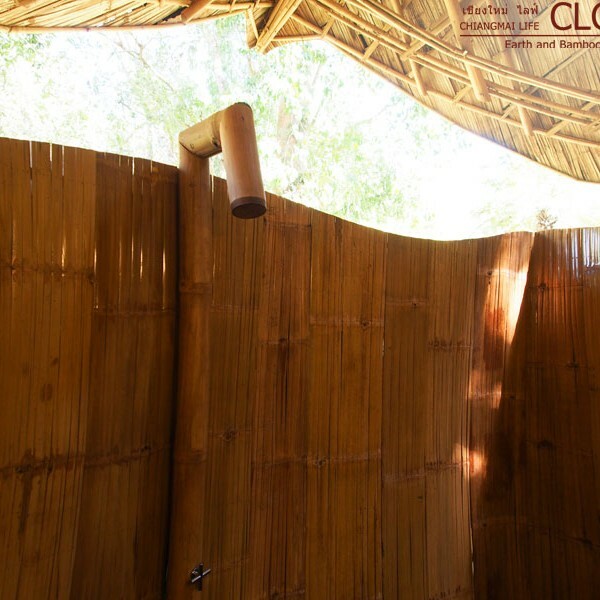 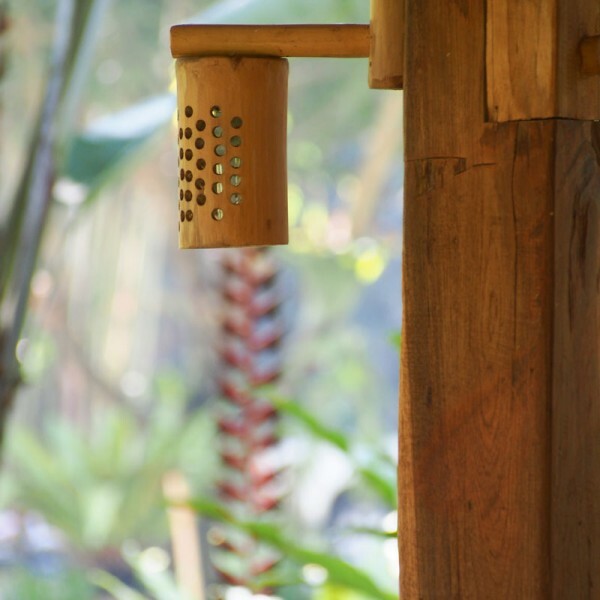 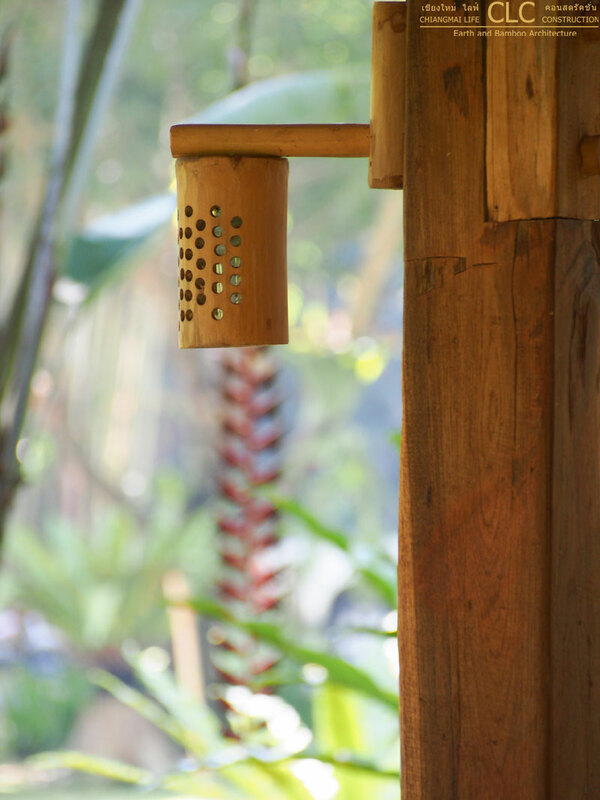 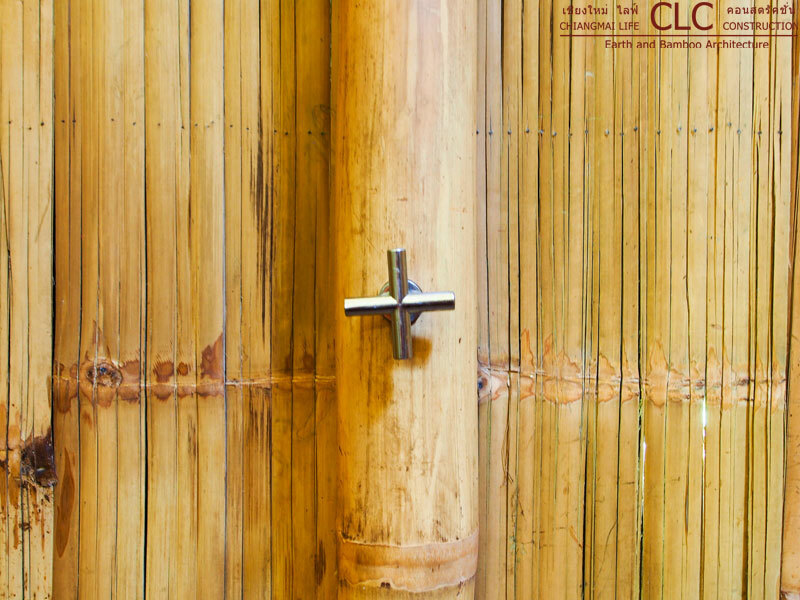 The bathroom is half open-air with lots of small handmade bamboo details.